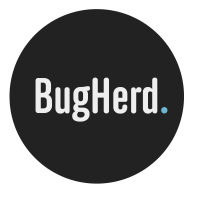 If you're a Chrome user, the BugHerd browser extension is a must have. Installing the extension means BugHerd will automatically add screenshots to any bug you create, regardless of the plan you're on. Installing the Chrome extension couldn't be simpler. 2. Click "Add to Chrome" button in the top-right of the page. 3. When prompted, click "Add extension" button to complete the installation. Hi Vicki, we're looking into this and will be updating the package again later today. Sorry about the inconvenience! This issue has been resolved. The browser extension can be downloaded from the Chrome Store again. Sorry about the trouble! I'm having issues with the Chrome extension having it always show the issues and tasks correctly on my site. Are there any known bugs with the Chrome extension? Hi Matt, would you please send further problem details such as a screenshot to support@bugherd.com? We'll certainly investigate this further. Vincent- I just sent the screenshot over. Thanks! I had trouble with the extension; the UI never showed up on any of my sites. I discovered that the problem was due to restrictive privacy settings in my browser configuration. In order for the extension to work, your browser must be configured to allow third-party cookies for bugherd.com. If you have configured Chrome to deny third-party cookies in general, you need to add an exception. To do this in Chrome, go to Settings -> Advanced Settings -> Privacy -> Content Settings -> Manage exceptions and add an "Allow" exception for "[*. ]bugherd.com".